Toronto District School Board is using assistive technology to help students with special needs be able to work to their full potential. Technology is revolutionizing the way today’s students are learning, as they can tackle research more quickly and collaborate on group projects easily. For students with special needs, technology is helping to pave a new road to higher success in school. TDSB is providing resources, training and workshops to help teachers incorporate technology into their classrooms. I believe when learning is engaging, children learn better and remember what they learned. I think it is a wonderful initiative since teachers and students have said that the assistive technology helps reduce anxiety, and helps them focus on learning without distraction. The Microsoft OneNote project is benefitting all students in TDSB schools, and it is helping students with learning disabilities prepare for their transition to high school. 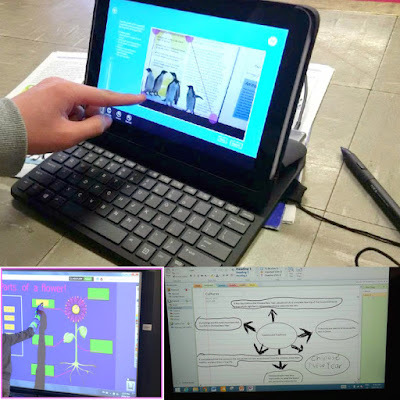 Usually a lack of organizational skills can impede students' learning process, so using and modeling this software to help them get organized is revolutionizing their learning and building confidence. When using OneNote, students can take notes faster by creating keyboard shortcuts and also by customizing the tool bar for their specific needs. It keeps all of their information in one place and accessible to them wherever they might be. They can also take notes while recording lectures that can be played back whenever they need to hear them. OneNote also saves automatically which is very helpful and the search feature is extremely easy to use. A student can have all of their classes tabbed at the top, just like a regular binder, to access or add any information needed for the classes. Many students who have accessibility issues feel unorganized and they stress greatly over this problem, they realize how much OneNote can help them and they feel empowered. The skills these students learn will help them post-graduation and into a work setting for tasks such as: putting proposals together, creating business plans, working on engineering designs, and developing lesson plans etc. Educators and therapists also love this program because they can add all of their students on this program and keep most of their information organized adding in their students' papers, presentations, assessments, and they can even develop a grading system in the program. Therapists can add a list of the students they service and comprehensive information about the therapy they are receiving, while incorporating their children’s various schedules into the file. They can even chart the students progress by using the data and graphing tools. I am glad that assistive technology is redefining student success at the TDSB, since we all learn differently. What a brilliant idea, I so hope all the other school boards follow suit! This seems to be a great way to empower students! Thanks for sharing! This is really nice and yes children all learn differently and at different paces, so with these innovations, this will definitely create a big change in the classroom and help students with their paces. Assistive technology is so important.